August 19, Battery Dance Festival, Wagner Park, New York, U.S.
August 21, Schimmel Center at Pace University, New York, U.S.
November 5, DanseFestival Barents 2015, Hammerfest, Norway. October 15.+16. Salihara Festival, Jakarta, Indonesia. With Praeambulum Bjørnsgaard has created an exemplary piece of work, which unites her strongest qualities: Great choreographic and musical knowledge paired with a wry look at gender, power and the most vulnerable of the deeply human. A timber frame construction is placed on the stage. Logs put together suggest the outline of a house without a roof, but with space for windows and doors. As a building material the dancers attempt to fill the empty spaces, with planks and plastic, but first and foremost with its deliberate whimsical and stumbling movement language. The wood also frames the bright-dressed dancers and their controlled uncoordinated dance. They appear as a building material that fills in the timber frame, without compromising visual traces in the scenography. Choreographer Ingun Bjørnsgaard has had plenty of time to work in the performance space at Dansens Hus Norway, main stage, she informs in a conversation with theatre scholar Snelle Hall, before the performance. 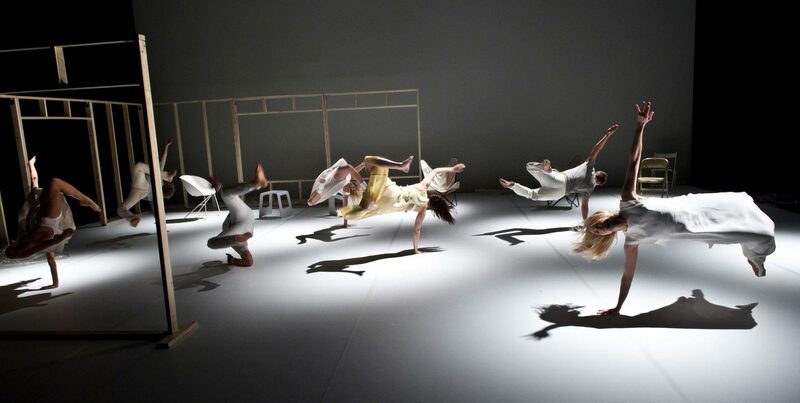 The seven dancers, three men and four women, appear to be home-loving in the unfinished house, with deckchairs randomly kicked around on the white stage floor. They sit nonchalant, sleep in the corners, fight wildly and gather in group dance. Using the arm as a pole they jump backwards over the shoulder, and land head over heels on their sides. The sounds of the bodies slide into the sophisticated soundscape of the performance. Henrik Hellstenius’ newly composed music is a fundamental element in Praeambulum. His piano and electronically processed sounds alternate with suites from J.S. Bach’s six Partitas. Praeambulum amazes and captivates the entire hour the piece lasts, although the music makes the dramaturgy somewhat predictable. It is not the first time Bjørnsgaard combines baroque and contemporary music in her work, and the expressive style certainly begins to find a refined form. 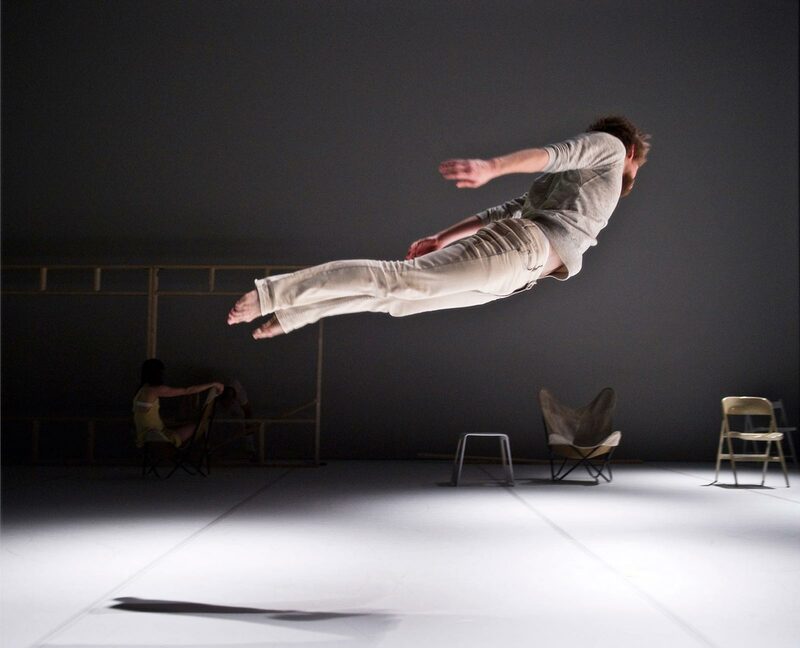 Previously Bjørnsgaard has choreographed Largo (2009) with baroque and contemporary music by Per Henrik Svalastog. 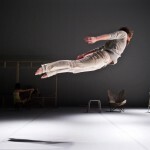 The piece was made for Nordwest Tanztheater Bremen & Tanzcompagnie Oldenburg (Germany). 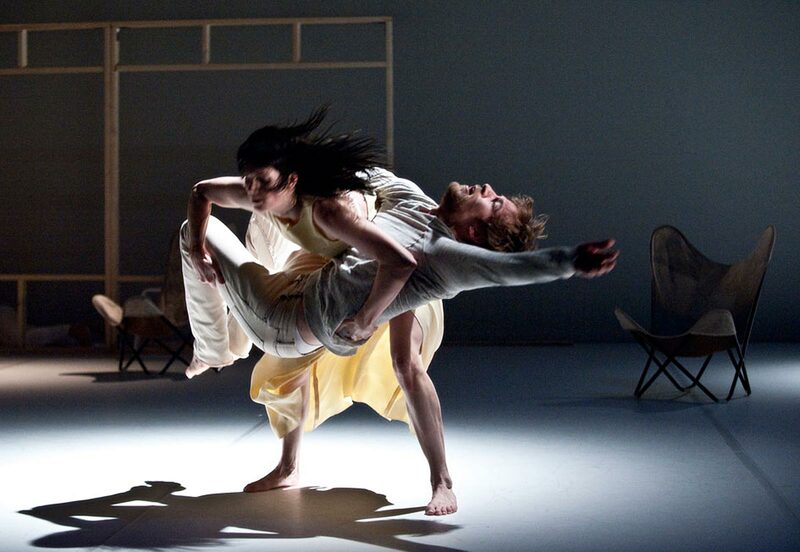 Praeambulum however, is choreographed for Bjørnsgaard’s own company, with dancers that she knows well. Dancer Erik Rulin sets the tone of his almost mimetic solo to one of the six Partitas. Rulin’s gymnastic exercises on a folding chair, without a wince, allows the audience a good laugh. Ida Wigdel squeals enchanted while two of the boys show off for her in a long and priceless sequence. Wigdel’s stage appearance is simply superb. She successfully balances between all of Bjørnsgaard’s characteristic features. She even manages to interweave traces of baroque dances such as minuet and sarabande in the well-organized yet non-organic expression. Although Praeambulum is meaningful to attend, the peculiar universe in the performance is characterized by meaninglessness. Associations go to the main character in the novel ”L” (for Learner) written by Erlend Loe; Frustrated about the parental generation that built the country, there is nothing left for him to build. He therefore ends up with building just a partition wall of four by four meters. Like ”L”, Bjørnsgaard’s new piece feels the pulse of the unbearable lightness of being. A dancer that specifically suits the self-absorbing and self-deprecating mood is Lone Torvik. Or maybe it is her superb whimsical character that gets the decadent situation to appear clear in all its juicy contradiction? Praeambulum means prelude, introduction or preparation, writes Music- and theatre historian Jørgen Langdalen in an excellent program text produced by Ingun Bjørnsgaard Prosjekt and distributed on all the chairs in the theatre. The term is synonymous to the prelude, but has long since gone out of the main music vocabulary. The title is nevertheless appropriate for everything that’s happening on stage in this production. Again and again the dancers build up scenes and situations between themselves that dissolves as soon as they are established. Duets and trios transforms into relations filled with spectacular misunderstandings, unsuccessful meetings, loneliness in twosome. Any power structure that begins ends in an unstable side position. The dancers’ costumes support their gender stereotype, however their dance actions undermine the traditional gender roles. So, how to end a performance which is all about beginnings? Well, the music of J.S. Bach is eventually deconstructed to the extent that it sounds like tuning a piano. In that way the baroque is deconstructed back to before starting point, and where the prelude can end and Praeambulum harvest a well-deserved applause.